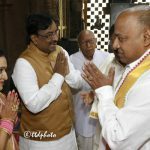 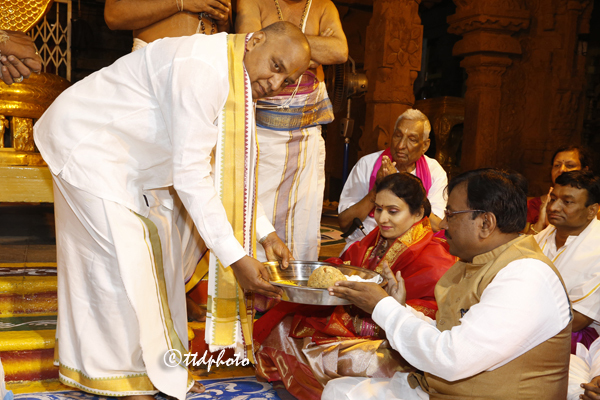 Tirumala, 4 May 2018: Smt Sapna Munaganthiwar takes oath as member of TTD Trust Board in Srivari temple on Friday. 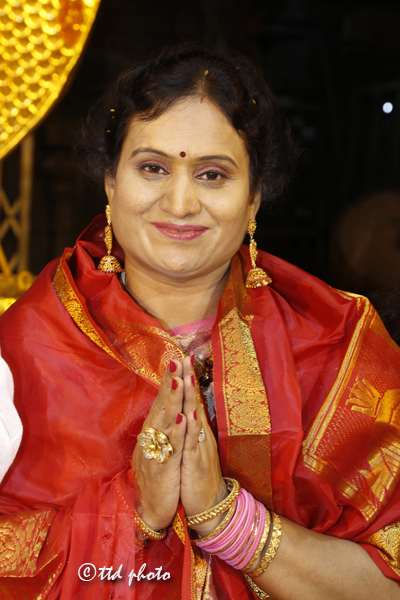 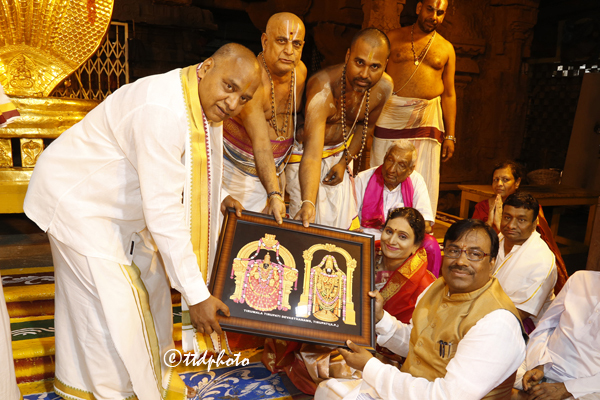 Tirumala JEO Sri KS Sreenivasa Raju administered her oath in front of Lord Venkateswara inside Srivari temple. 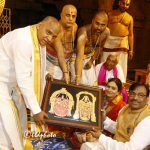 Later she was rendered Vedasirvachanam and given teerthaprasadams at Ranganayakula Mandapam. 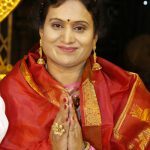 After the oath administration, talking to media persons outside temple, she said she will utilize this God given opportunity by doing her part in providing better amenities to multitude of visiting pilgrims to Tirumala. 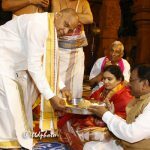 Temple DyEO Sri Haridranath, Peishkar Sri Ramesh, Reception DyEO Sri Balaji, Parpathyedar Sri Ramchandra and others were also present.